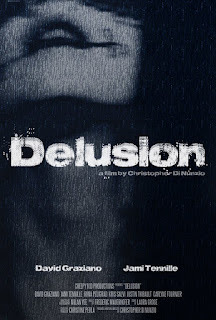 A newly released horror film from writer/director Christopher Di Nunzio, Delusion is a real mind-bender, to such a degree that I had to watch it twice to really get a grasp on what was happening in it - and even then, there are dangling questions. Delusion is quite an unusual horror movie in that the main protagonist is a middle-aged man, David Graziano as Frank Parrillo. 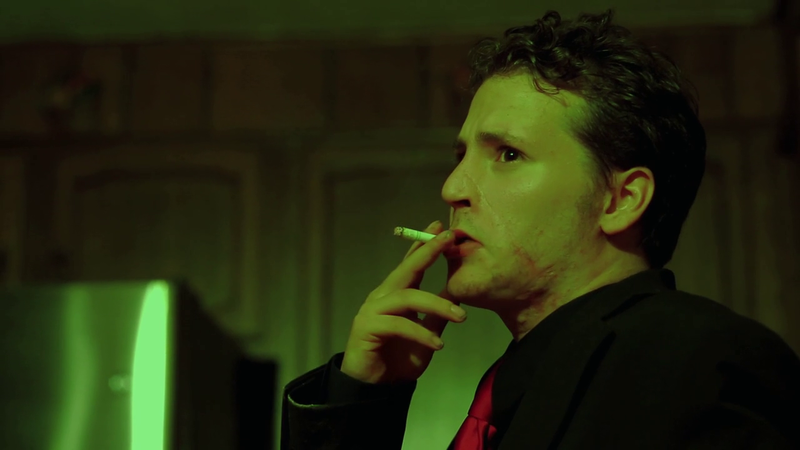 Frank is dealing with some very heavy drama that Di Nunzio really digs into over the course of the story, and this movie actually works just as well as a drama as it does as a horror movie, maybe even more. I preferred watching the drama scenes play out, especially since I was rooting for Frank. It's been three years since his wife committed suicide and he's finally ready to start moving forward and get his life back together, with the extremely late delivery of a letter his dear departed Isabella (played by Carlyne Fournier in flashbacks) sent him before the suicide helping him find closure. Enjoying Graziano's screen presence and intrigued by the story of the broken-hearted Frank getting back out into the world and looking to date again, I would have been fine if that were all there was to it. But there are very strange and horrific things ahead for this character. The first indication that Frank is in trouble comes when he visits fortune teller Lavinia (Irina Peligrad) on a whim and she warns him to avoid the evils of the world, specifically bringing up a succubus. She doesn't tell Frank directly, but she saw his death. Things go off the deep end after that consultation, and despite being warned about a succubus Frank proceeds to go right ahead and pursue a woman we can be pretty sure is a succubus, due to her mysterious demeanor and the disturbing way in which she invades his mind, showing up in his dreams and waking hallucinations. 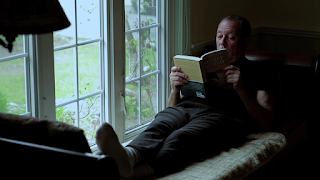 There's also a weird guy lurking around who appears in Frank's dreams. These characters are credited as Mary and Grayson and are played by Jami Tennille and Kris Salvi, both of whom do a good job at coming off as otherworldly odd. I would just write all of this off as being entirely in Frank's head, but there are things that point to the explanation being supernatural. When Mary and Frank start having what seem to be real world interactions but are just as off-the-wall as the dreams and visions, my head explodes... I still don't know what's going on, but I'm captivated throughout. Although Delusion was clearly made on a very low budget, it's well shot, with some cool imagery and good picture quality. The sound is also quite good - this is an area in which small budgeted movies are often lacking, but Di Nunzio avoided that problem. The film is well written overall, even if it is confusing and ends a bit too abruptly for my taste. My only real issue with the bulk of the film is that the dialogue would come off as stilted from time to time. That held it back a bit, but certainly didn't put me off from wanting to see where this was going. 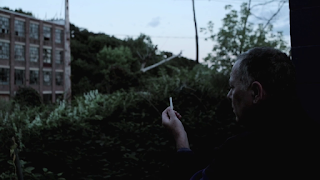 The distribution rights to Delusion are in the hands of Cinema Epoch, and the movie is currently available to rent or buy through Amazon in the US, Canada, and the UK. It's a weird movie that is likely to leave you baffled, but I enjoyed watching it. Twice.